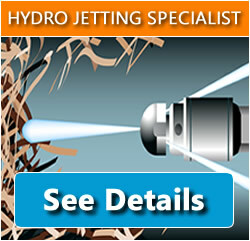 Cutting Edge Sewer & Drain is the owner of the domain name and web site. This notice applies to Cutting Edge Sewer & Drain, web master and company/ individuals, which is represented by this web site. Web site is for general informational purposes. Any advice, opinions, statements, etc. made in said web site and its interpretation by user is the responsibility of said user. Information you share with us will not be sold to any 3rd parties except our affiliates that represent the services you may be interested in. By providing us information you allow us to contact you by phone, mail or email even if you are on the don not call list. Information, text, graphics, software, and other content that make up this Web Site (“Content”) reside on a computer operated/contracted by Cutting Edge Sewer & Drain or its representative. Any one accessing this Web site consents to monitoring of this access and use by system or security personnel. Access to this Web site is monitored. The requesting user’s machine originating the request and the time of the request are logged for access statistics and security purposes. Use of this Web site constitutes consent to such monitoring. Cutting Edge Sewer & Drain or its license owns the copyright in all of the content comprising this Web site, unless otherwise indicated. By accessing and using this Web site, you agree to abide by U.S. and international copyright law and all other applicable laws. You may access this Web site and retrieve content that contains Cutting Edge Sewer & Drain copyright notice, store such content on your own computer, and print one copy of such Content for noncommercial, personal, or educational purposes only, provided that you (1) do not modify, distribute, or transmit such content, and (2) include any copyright notice originally appearing with such content. Permission may be needed for other content not marked with Cutting Edge Sewer & Drain or any copyright notice. You may cite or refer to the URL of this Web site without limitation. All brand, product, service, and process names appearing on the Web site are trademarks of their respective holders. Reference to or use of a product, service or process does not imply recommendation, approval, affiliation, or sponsorship of that product, service, or process by Cutting Edge Sewer & Drain. Nothing contained herein shall be construed as conferring by implication or otherwise any license or right under any patent, copyright, trademark, or other intellectual property right of Cutting Edge Sewer & Drain. or any third parts, except as expressly granted herein. Cutting Edge Sewer & Drain/webmaster makes no guarantee as to the currency, accuracy, or quality of information published and/or archived on this Web site, nor will Cutting Edge Sewer & Drain. accept any responsibility for other organizations, businesses, and private persons that provide information on this Web site. All information on this Web site regarding products and services, etc. 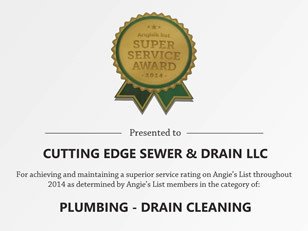 provided by Cutting Edge Sewer & Drain/webmaster are subject to change without notice. Reasonable efforts are taken to ensure the accuracy and integrity of all information provided here, but Cutting Edge Sewer & Drain is not responsible for misprints, out-of-date information, or errors. Cutting Edge Sewer & Drain/webmaster makes no warranty, express or implied, or assumes any legal liability or responsibility for the accuracy or completeness of any information contained on this Web site. Cutting Edge Sewer & Drain/webmaster makes no warranty with respect to documents or other information available from this Web site; assumes no legal liability or responsibility whatsoever for the accuracy, completeness, or usefulness of any such information; and does not represent that its use would not infringe privately owned rights. Cutting Edge Sewer & Drain disclaims all warranties, express and implied, including the warranties of merchant-ability and fitness for a particular purpose. Certain links on this Web site lead to resources located on servers that are not maintained by Cutting Edge Sewer & Drain/webmaster or under its control. Cutting Edge Sewer & Drain /webmaster is not responsible for the contents of any such referenced Web sites or for the availability of access to such Web sites. The inclusion on this Web site of any link to another Web site, or any reference to any product or service by trade name, trademark, manufacturer, or otherwise, does not necessarily constitute or imply an endorsement or recommendation by Cutting Edge Sewer & Drain. The information and content on this server is provided “as is” with no warranty of any kind, either express or implied, including but not limited to the implied warranties of merchant-ability, fitness for a particular purpose, and non-infringement. Any warranty that is provided in connection with any of the products and services described on this Web site is provided by the advertiser or manufacturer only, and not by Cutting Edge Sewer & Drain. The references and descriptions of products or services within the Web site materials are provided “as is” without any warranty of any kind, wither express or implied. Cutting Edge Sewer & Drain /webmaster is not liable for any damages, including any consequential damages, of any kind that may result to the user from the use of the materials on this Web site or of any of the products or services described hereon. The descriptions of, and references to, products, services and companies on this Web site are the sole responsibility of the companies providing the information (“advertisers”), and not of Cutting Edge Sewer & Drain/webmaster. The inclusion of material on this server does not imply any endorsement by Cutting Edge Sewer & Drain /webmaster, which makes no warranty of any kind with respect to the subject matter of the server materials advertised. A possibility exists that the server materials could include inaccuracies or errors. Additionally, a possibility exists that unauthorized additions, deletions, and alterations could be made by third parties to the server materials. Although Cutting Edge Sewer & Drain/webmaster tries to ensure the integrity and the accurateness of the server materials, it makes no guarantees about their correctness or accuracy. Before relying on any representation made in any of the server materials, check with the advertiser of the product or service to ensure that the information you are relying upon is correct. Although the information on this Web site is accessible worldwide, not all products or services discussed on this Web site are available to all persons or in the geographic locations or jurisdictions. Cutting Edge Sewer & Drain/webmaster and the advertisers each reserve the right to limit the provision of their products or services to any person, geographic area, or jurisdiction they so desire and to limit the quantities of any products or services that they provide. Any offer for any product or service made in the materials on this Web site is void where prohibited.